This image shows a close-up of the photo of Gilbert Van Zandt from the historical marker in Port William, Ohio. 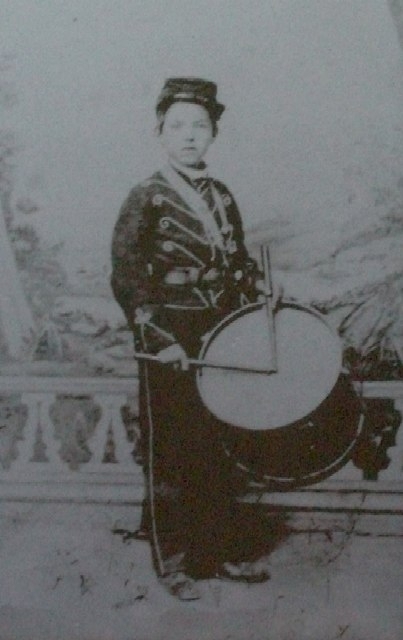 Van Zandt was one of the youngest Ohioans to serve in the Civil War. Not only was Van Zandt one of the youngest to serve, but he was one of the last of the surviving veterans. He died at the age of 92 in 1944 in Kansas City, Missouri. Image Manipulation Copied and cropped from original source.